This packing tray is a multipurpose tray. It can be used for presenting suit/sarees on any occasion. Also for giving cosmetics and other essential to the bride this tray is very useful.it can be made in different colours and designs. Backed by rich industry experience, we are engaged in providing a premium quality range of Saree Packing Tray for Marriage Ceremony. Wedding tray set of 3 pcs. Which is used for keeping Saree , Cosmetics & chocolates. Fancy Wedding Saree Tray are now created with decorative work. 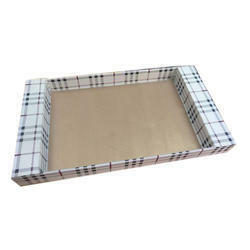 These trays are prefferably used for wedding packings like Saree, Lehenga. The trays are already decorated, you have to just put your packings and your presentation is ready.